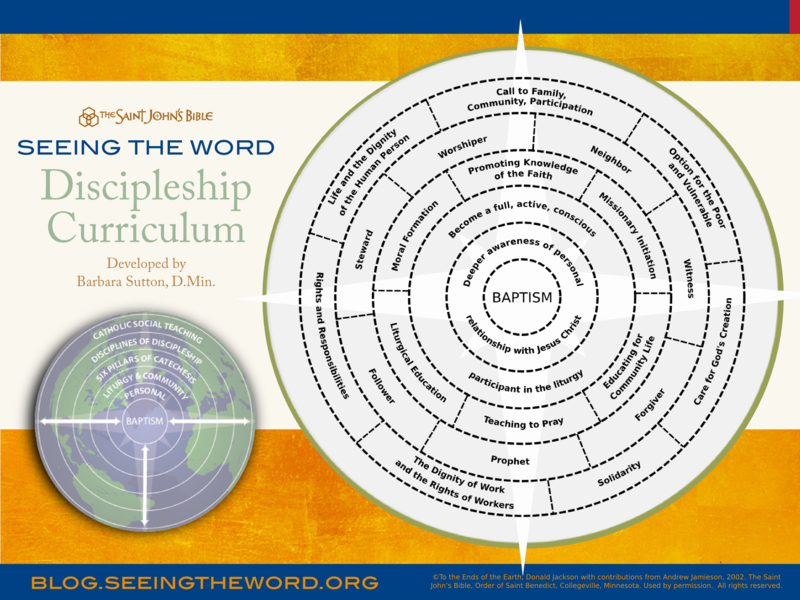 This curriculum provides a ripple effect for strengthening discipleship in a community of faith like a pebble dropped in water. The ripple of knowledge is created through reading scripture, sacred gazing on the illuminated Word and faith sharing. The ripples continue to move and light changes on the water. The longer one watches, the more one sees. It is designed for small-faith communities, adult education groups, young adult reflection groups, whole community catechesis, and parish meetings. This model can help facilitate the use of the audio reflections found on this site as a part of group visio divina. Find audio reflection correlations and learn how to use them here. 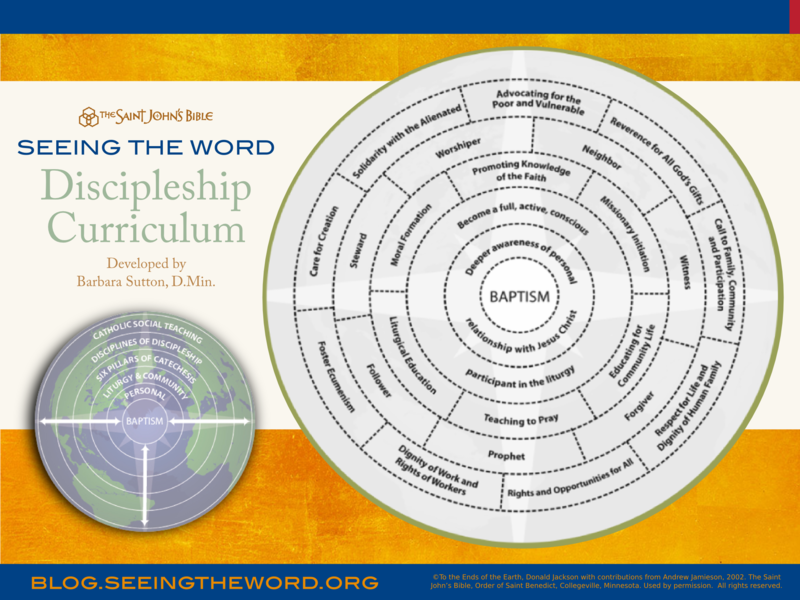 The sequence of the curriculum is not linear, rather, it spirals outward, deepening one’s capacity for discipleship. The model is open and fluid and nonsequential, meaning a logical order moving from the center and outward is not necessary. It is the sustained practice of Seeing the Word that is transformative. This model is described more thoroughly in the Seeing the Word Program Manual through Liturgical Press.